The one I mentioned before was HARRY WORTH A Soldier's Farewell 1 28/10/1966 - it had lost its audio, but, it's now likely that Ed Doolan has recorded the sound when it was repeated. So it can probably be restored. Sorry to disappoint, but Ed didn't record 'Harry Worth', more's the pity. Ahw, shame. At some point there was a short list of some of the items he had recorded, and that one of them was a later repeat of that episode. But the list may have been wrong. Actually 12 episodes(13 if you count the vision only 'A soldiers Farewell') of Harry Worth now exist,so a dvd release should be well on the cards. Pity; it would have been satisfying to complete a mute print. But lists and facts can get misquoted, as you probably noticed. I agree with you of course that all of this material should be seen by a wider audience. I rather suspect that most of this comedy material will eventually get a release of some sort. 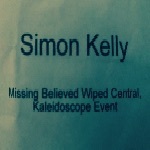 However, the only public screening will be at Missing Believed Wiped. If only the BBC had some kind of online streaming platform or an extra channel that could present these findings to a wider audience. Someone should talk to Talking Pictures.TV imho. Fabulous finds and well done to Phil. I know it existed before in some form, but I'm particularly pleased about the Steptoe episode, meaning that all the 60s series now survives as film recordings. 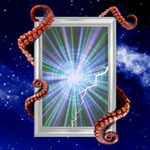 As an aside, I'm back, having been irretrievably locked out of my old account when I set up another forum at Proboards. So much for Global Accounts! Sorry if anyone has sent me PMs in the last few months - I've not been able to access them. Last Edit: Nov 9, 2018 17:24:25 GMT by alanshayes: Correcting typo. The obvious people to try and team up with are Talking Pictures TV. They’ve got a platform, a growing audience of older viewers and have shown, and are showing, some vintage TV. They’d like to show things like Z Cars, etc, etc - if they can secure the rights without paying through the nose. Thanks for the correction Jack. presumably because they do exist in their original recorded format. I will shortly edit my earlier posts on this thread to acknowledge my error. I was re-reading the 20-page booklet that came with "The Native Hue of Resolution: 20 Years of Missing Believed Wiped" DVD. It's interesting to note that most of the finds recently announced by Philip Morris were known to exist around 5 years ago! Kaleidoscope has found a 16mm telerecording of the Steptoe and Son episode My Old Man's A Tory in private hands ... Kaleidoscope is also aware of a sizeable amount of BBC comedy shows in private hands including Sykes, The Rag Trade and The Black and White Minstrel Show, but a combination of factors prevents the material being returned to official archives. Whatever he does and however he does it,he has brought results as well drawing attention to a new generation. It's interesting to note that most of the finds recently announced by Philip Morris were known to exist around 5 years ago! I just want to make it clear that the collection mentioned in the booklet has nothing at all to do with Philip and his search. It's a different print of the Steptoe and a different episode of 'The Rag Trade'. Most of the recently announced finds were NOT known about five years ago. It's also a little disingenuous for the booklet to say that the collection in question is a Kaleidoscope discovery. It's way more complicated than that and regardless it has now changed hands. As for "combination of factors" which prevented "the material being returned to official archives", the involvement of one particular person from Kaleidoscope was one of them. This also raises the question of what constitutes an official archive. Few archives are actually official. Most are repositories of material. Official archives either own the rights to what they are archiving and/or are sanctioned by government or local government bodies. That doesn't stop organisations or individials self-designating as an archive (and I have a small media archive of my own) but it doesn't make that archive "official" and the Kaleidoscope Archive is no different. Regarding the collection in question, material from it has already been screened at Missing Believed Wiped, despite the fact that it is not in an official archive and fans of BBC comedy series will get to see this material in other forms in the very near future. Yes, there can be different episodes of 'The Rag Trade' and such. Was that different episode in private hands ever secured and returned (and/or those other shows mentioned)? However, I think the same episode of The Kinks on Basil Brush was reported five years ago in The Telegraph on 4 Dec 2013. "He has already recovered more material - a favourite among which is a 1960s Basil Brush Show featuring an early appearance by the Kinks." But no matter what, it's a great find! Phil discussed locating this back in 2013. The BBC were aware of it of course. But that is an entirely different thing to the known about collection we are discussing, which is now in another private collection and available to rights holders to exploit. So, to attempt to summarize, as I understand it, we have the "booklet" list and the "cinema" list. ... and more in a sizeable amount of BBC comedy shows yet to be identified. However, happily, this "booklet" collection is now in another private collection and available. In other words, all of these are available, and that's really good news.